First of all, cow’s milk is one of America’s most common daily drinks. Furthermore, cow’s milk is hard to digest. It is interesting to note that cow’s milk is the cause of intestinal discomfort. Many Americans experience gas, bloating, and other forms of indigestion. In addition, the average cow is given growth hormones, antibiotics, GMO feed, and vaccinations. The cows are exposed to toxic conditions. It’s especially relevant to humans experiencing negative health effects. 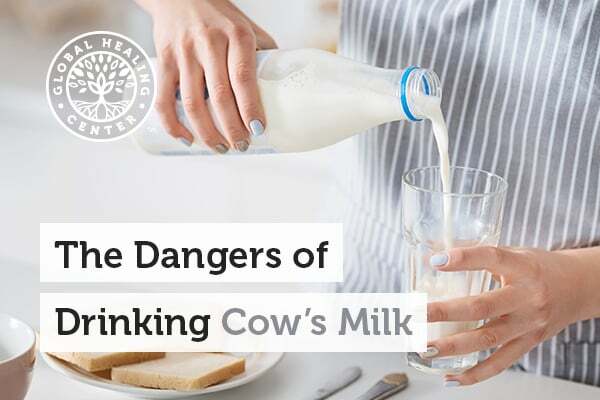 The health effects are from consuming pasteurized milk. Red meat is no better. Therefore, goat’s milk is much healthier than cow’s milk. Raw and organic goat’s milk is the best choice. Furthermore, goats produce 2% of the global milk supply. As a result, consuming goat’s milk will not give you side effects. You will have a lower incidence of allergies and digestive complaints. Also, goat’s milk supports good health. It is void of the negative side effects of cow’s milk. You will not get your calcium intake from cow’s milk. In addition, there is research on the benefits of goat’s milk. Goat’s milk doesn’t cause inflammation. Most of all, people with bowel inflammation drink goat’s milk. Cow’s milk is not good for bowel inflammation. Goats require less space to feed. They eat less food than cows. Six goats can exist on acreage required for two cows. Especially relevant, goat’s milk increases your ability to metabolize iron and copper. Consequently, it is good for individuals with digestion and absorption limitations. 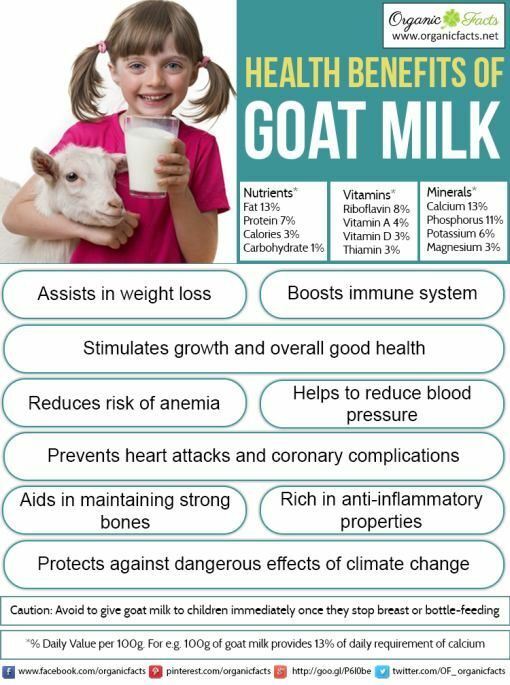 The benefits of goat’s milk are many. But you can take digestive enzymes and supplements to support digestion. The main benefits of goat’s milk are like human breast milk. In addition, it has a chemical composition that is closer to human milk. Cow’s milk does not. It is easier to digest and assimilate in the human body. Cow’s milk is not easy to digest. Goats’ milk contains smaller fat. Does that mean it has less fat? No, the size of the fat molecules in goat’s milk is much smaller than those found in cow’s milk. Therefore, goat’s milk is easier to digest. While cow’s milk is seventeen percent fatty acids, goat’s milk is thirty-five percent fatty acids. This makes it nutritionally wholesome. In addition, 50% of people experience lactose intolerance to cow’s milk. But, they can digest goat’s milk. The benefits of goat’s milk are better when it’s raw. Many people drink cow’s milk for calcium intake and bone health. Goat’s milk is high in calcium and tryptophan. Tryptophan is an amino acid. Cow’s milk is not as healthy. Cow’s milk is linked to allergies and excess mucous. Goat’s milk is not. In addition, cow’s milk is high in fat and increases mucous build-up. The fat globules in goat’s milk are one-ninth the size of those in cow’s milk as a result. This is the reason why it is not irritating to the stomach. Use goat’s milk for your calcium. Naturopathic medicines refer to the goat as a bioorganic sodium animal. They are associated with vigor, flexibility, and vitality. Cows are calcium animals. They promote stability and heaviness. Bioorganic sodium is an important element for supporting joint health. In addition, goat’s milk was used to rejuvenate an overtaxed nervous system. Furthermore, goat’s milk is nutrient dense. It has 35% of your daily calcium requirements. That’s one cup of goat’s milk. One cup of goat’s milk has 20.0% of riboflavin and it’s a good source of phosphorous. Also, one cup has vitamin B-12, protein, and potassium. Gandhi rejuvenated his own health after fasting. He did this by drinking raw goat’s milk as a result. In conclusion, cow’s milk contains bovine growth hormones. And it contains bovine somatotropin, a hormone that artificially increases milk production. The substances are not in goats. Furthermore, goat’s milk is used on the fringes of big agriculture. Therefore, goat’s milk is more nutritious and less toxic. Goat’s milk contains selenium. Selenium is an essential trace mineral that supports the immune system. These are just a few of the health benefits of goat’s milk. It provides complete nutrition and has fewer additives than cow’s milk. Choose goat’s milk for health and longevity. A great way to get your calcium. Try our Tested Diet Meal Plans and get Trim and Fit in no time it’s on the Link!